The man accused of killing San Luis Obispo woman Kristen Marti is currently in SLO County Jail after having been extradited from Minnesota. Robert Koehler, the owner of a mobile mechanic service that operated in northern Santa Barbara and southern San Luis Obispo counties, fled the Central Coast on May 2, according to police. 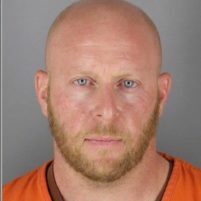 Authorities located Koehler, 36, a couple weeks later just outside Minneapolis. Marti, 26, was reported missing on Jan. 18, after last being seen in the 1800 block of Perfumo Canyon in SLO. The San Luis Obispo woman had been missing for nearly three months when officers found a body in a creek near Perfumo Canyon during a large search of the area. Detectives believe Koehler was the last person to have been with Marti while she was alive. Yet, the motive for the alleged murder is unclear, and SLO Police Chief Deanna Cantrell said Koehler and Marti had no relationship prior to the killing. The San Luis Obispo County District Attorney’s Office has already filed a single charge of murder against Koehler, as well as multiple enhancements. The enhancements include an allegation of premeditated murder; the use of a deadly weapon — a knife; and having a prior violent criminal conviction. Koehler committed a carjacking in Shasta County in 2005, according to the DA’s office. Police booked Koehler into the SLO County Jail on one count of murder. He is being held without bail. This case is a perfect illustration of why California needs to enforce the death penalty on violent criminals. This perp, Robert Kouhler, already had a previous conviction for carjacking, and now he is accused of the premeditated murder of a complete stranger. I say Kristen Marti had a right to her life, and this vicious killer, if convicted, should pay with his life for doing what he did. Absolutely, but you have to be sure. Look at all the releases of falsely convicted persons who have serves decades behind bars as a result of DNA evience. And, wonderfully, the bringing to justice those like the Golden State Killer who thought they had the skills to avoid arrest. Sure, if this guy’s 100% guilty, as George is convinced, I would pay to be the executioner using a .22 automatic and a lot of snake-shot rounds over a few days. I was with you George right up to the death penalty chit. It ain’t a deterrent, it ain’t about justice, it kills innocent people, is much more expensive sentence to carry out than a person living a life without parole sentence and is nothing but state sponsored 1st degree murder. Between you and Snart this guy is already convicted, Snart says he’s already “confessed”, something I didn’t find in the article, and you’ve labeled him a premeditated murderer, something else the article doesn’t elude to. No wonder SLO is the “Happiest Place on Earth”, it’s population not only charges their criminals at will but it can tell you a person’s innocents or guilt even before a jury or judge is set to hear the case. It appears he had no business or connection with her, yet Ms. Marti ended up dead, and that usually points to premeditation to murder. Additionally, notice how I made it a point to say, ‘If convicted’, alluding to his constitutional right to a fair trial. I am not into vigilante justice, but neither am I into citizens having to live in fear of violent criminals. If he indeed did it, I maintain he deserves the death penalty. If the death penalty did what it is purported to do it might have some value, but it doesn’t! It doesn’t stop murder, and the data shows it! It is a more expensive route to take and innocents do die from it. All of those things should counterbalance any value it might have, but as usual the conservative mind only sees what it wants to see and ignores the facts! Really? How? How does two people with no obvious connections with one another up to the date of the murder dictate premeditation? Premeditation is “…the action of planning something (especially a crime) beforehand…” and unless this guy is a serial killer, and there’s absolutely no indication of that either by the article or his past reported criminal record, this sounds more like a case of something, maybe another intended crime, gone wrong (which under California law dictates a 1st degree murder charge). But the telling thing about your post was the position of the words you chose to use George; “I say Kristen Marti had a right to her life, and this vicious killer, if convicted, should pay with his life for doing what he did.” putting “this vicious killer” in front of “if convicted” implies he is a killer and only needs to be convicted of this one to prove it. Jeeeez! Come on! Until the justice system can get it 100% right on the death penalty, proving that no one will die from it who isn’t deserving of it, it has no place in our country, none! If you don’t buy that argument then the pure and simple fact that a civilized society doesn’t kill for any reason would be completely lost on you. Did I read this right, she was killed with a KNIFE, not a gun? Oh boy, man the kitchen! Wow! That guy confessed already! Credit goes to the agencies involved. Not the SLOpy chief.